The alarm goes off. He drops everything and then slides down the pole. Some of his fellow firefighters are getting their gear on, but he can't find his anywhere. How can you expect him to put out fires and play with Dalmatians without any of his gear? Never, ever, let this scenario happen to your child. He will be truly devastated when he doesn’t get to rush to the scene and burst into the building with his other buddies from Engine Company 5. Now, sure, “Engine Company 5” is just what he and his little neighbors call themselves and, yes, so far they haven’t put out any real fires, but they are enthusiastic as can be...and there was that one time they all tried to climb the tree to rescue that cat. 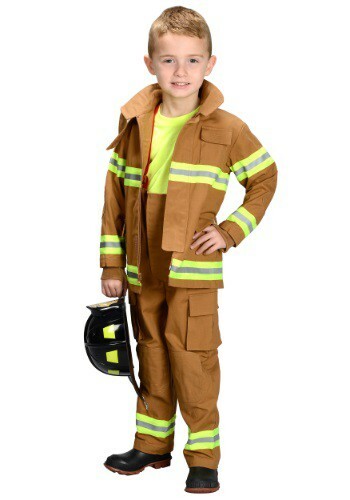 The point is, your brave little one can’t wait to fill the mighty big boots of his favorite heroes, and you can help his dreams come true with this Kids Firefighter Costume. His eyes will widen at the sight of the super authentic tan overalls and jacket and their blazing yellow and white reflective stripes. The plastic fireman’s helmet will also look very official atop his head when he’s “working” and will similarly inspire enthralling dreams while he dozes beside it at night. 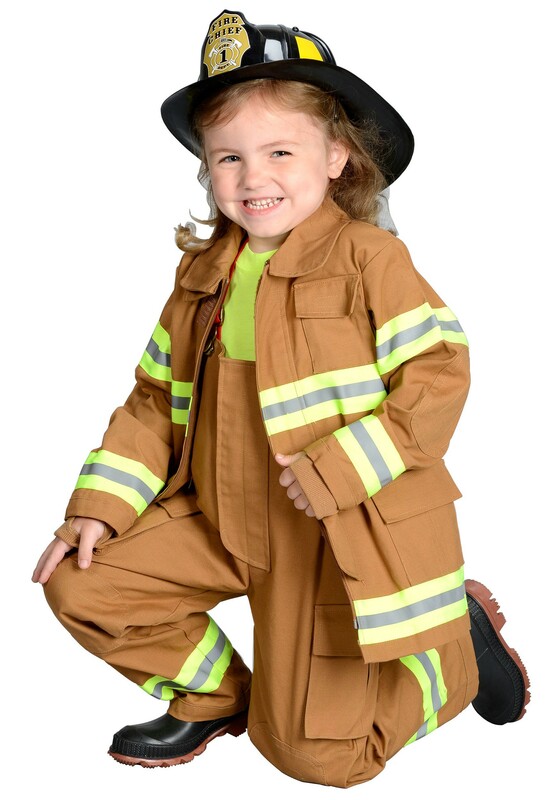 There’s only one thing missing from this realistic kids firefighter costume...and that’s the fires to put out. But not so much as a stray spark escapes the watchful gaze of your little one, so we’re good with that!